Career & Business what is Rupay Debit card & its Benefits ? 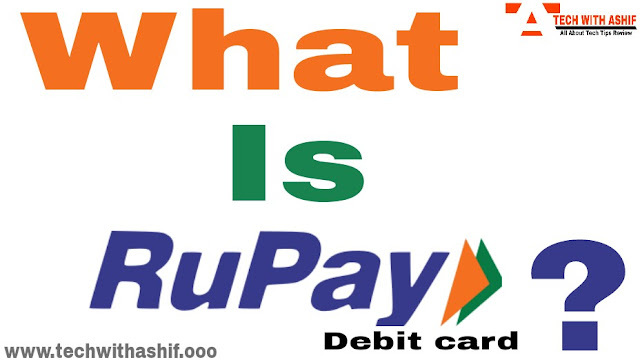 What is Rupay debit Card ? Benefits of Rupay Debit Card. Limitation of Rupay debit card. Offers & discounts of Rupay debit card. Security of Rupay debit card. Rupay debit card is India's own debit or ATMcard based on the indigenous payment system which is operated by npci. Which works just like the Visa, Master or Maestro ATM card. Rupay debit card was launched in 2011. Rupay is composed of two words Ru + pay here Ru means Indian currency ie rupee and pay means the payment. Rupay debit card in the beginning was not so much in practice, but after opening the account, all the account holders were given a free rupee card so that it could be used faster. Since demonetisation, their use has increased even more rapidly. As we have mentioned, Rupay debit card is indigenous ATM card and Visa, Master or any other card is based on foreign payment system. Due to the foreign payment system, its processing fees are high. But Rupay debit card is based on the indigenous system, so its processing fees are also low. The Rupee card is playing an important role in promoting digital transactions in India, due to low processing fees, small traders can easily make payments through it. ■ With Rupay debit card, you can withdraw money from any bank ATM in India. ■ Rupay debit card works like a debit card, through which you can make a cashless payment by swiping cards in the pos machine. ■ By Rupay debit card, you can also pay on the online shopping site. Today, almost every shopping site in India is accepting payment from Rupay debit card. ■ With the help of rupay debit card, you can also online mobile recharges, dth recharge, bill of electricity or any other utility bill. ■Rupay debit card is based on the indigenous payment system, so its use is more secure and reliable than the foreign card. ■Due to being based on the indigenous payment system, its processing fees are also very low, which is the advantage of your deal. Despite having many features, Rupay debit card has some limitations like Rupay debit card you can use only in your country or India. You can not use it on a foreign ATM. You can not use it because many shopping sites do not accept payments from Rupay debit Cards. Various Offers and discounts are available on the Rupay debit card. In addition to free insurance, the discount on fuel surcharges on this card, discount on railway surcharge and relaxation of many payment wallets and cashback is available. It is important that you keep your card secure in order to enjoy the benefits provided by your Rupay debit card. You can keep it safe by changing your PIN at regular intervals. Apart from this, you should not tell anyone your Rupay card PIN number. When you use it on ATM or POS machines enter your PIN secretly. Do not use your Rupay debit card at unauthorized centers and never write your PIN on the card. Overall, if you live in India then Rupay debit card is beneficial to you as most of us use the card only to withdraw money from the ATM and its charge is also very low. Currently, almost every bank releases Rupay debit card to its customers, if you do not have Rupay Debit / ATM card, then you can make it by contacting your bank branch. Friends, you must share your thoughts in the comment box.